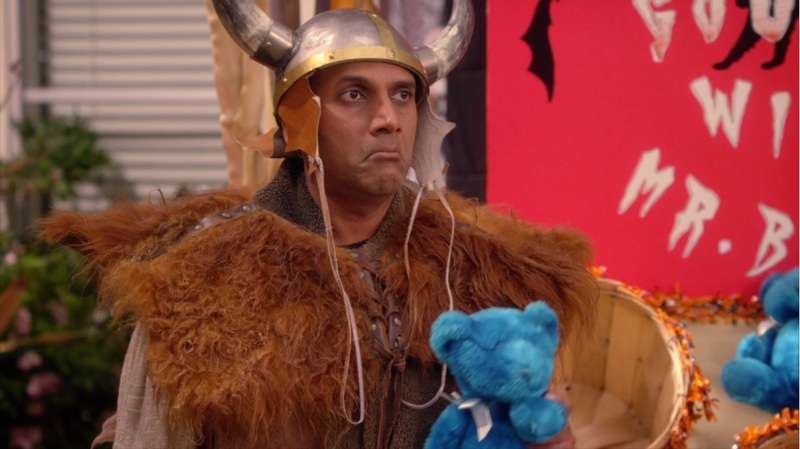 The Indian American comedian, who starred in Nickelodeon’s TV, talks about his transition from tech to comedy. 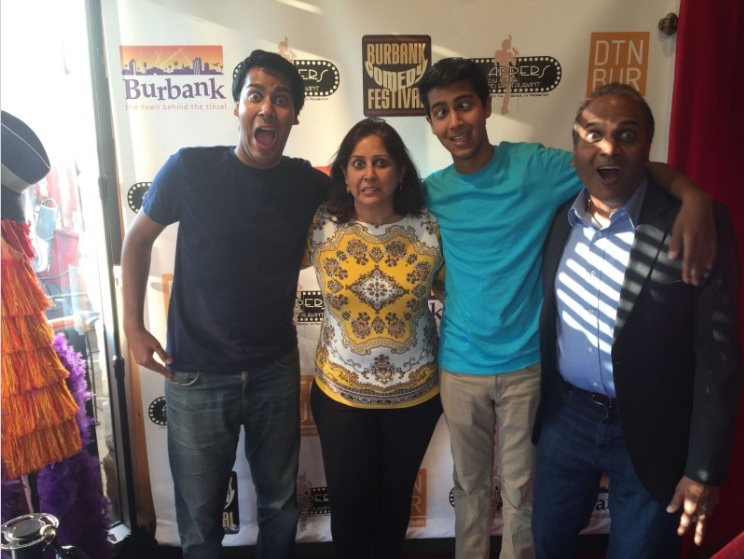 Los Angeles-based comedian Raajeev Aggerwhil has starred in Nickelodeon’s TV show 100 Things to Do before High School and also acted in the film based on the television series. 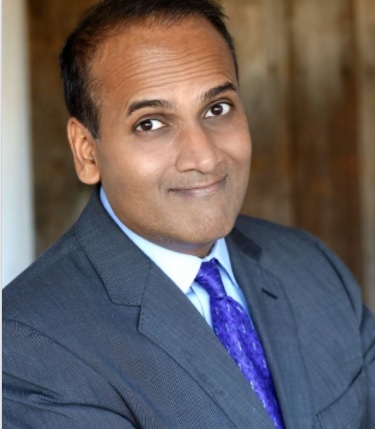 A member of Toastmasters clubs in Washington, DC, Boston and Los Angeles, the Delhi-born IT professional is a Distinguished Toastmasters (DTM) and has won numerous rounds of Uncle Clude’s competition held at Flappers Comedy Club. Before starting up his projects with Nickelodeon, Aggerwhil worked in an IT company. Currently, he manages both his passion for stand-up comedy and his work in the IT industry as a consultant. Aggerwhil came to the United States in 1981, after completing his high school in Delhi. 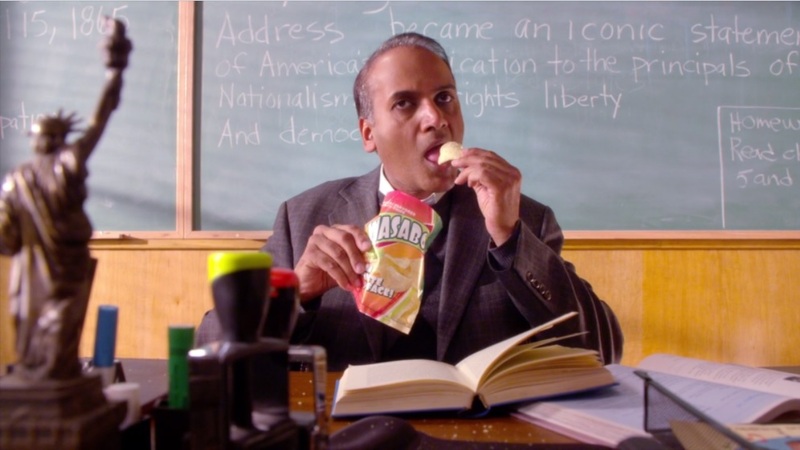 He enrolled for a bachelor’s degree in computer science at UC Berkeley in 1982. He went on to complete two master’s degrees – master’s in Computer Science from Stanford (1987) and an MBA from Berkeley (1995). Aggerwhil, who visits India regularly for his consultation work and to meet family and friends, takes pride in keeping intact his India roots, as well as beliefs. This cannot be more evident than the spellings of his name, or for that matter, those of his wife and three children; all of which are according to the ancient science of numbers. “I don’t like to justify my reasoning – I just tell people that I am superstitious,” he quips. He recently spoke to the American Bazaar from LA. You must be getting this question a lot of times, but still, I am curious: How this transition from IT to comedy? What was the inspiration? I always had a righteous, didactic and pedantic view of people around me. I was always telling people in front of them or behind their back how they should have or could have behaved! Comedy allowed me to officially offend everyone equally, including myself. I actually love comedy because it has a very cathartic rejuvenating effect – almost like meditation! You have performed in shows on Nickelodeon and a movie on one of its TV series. Tell us more about it. I had a recurring guest star role on Nickelodeon’s “100 Things to do Before High School.” I had an opportunity to work with some very talented actors such as Isabela Moner, Lisa Arch and Jack De Sena. I had some training in acting prior to that including being married for over two decades! 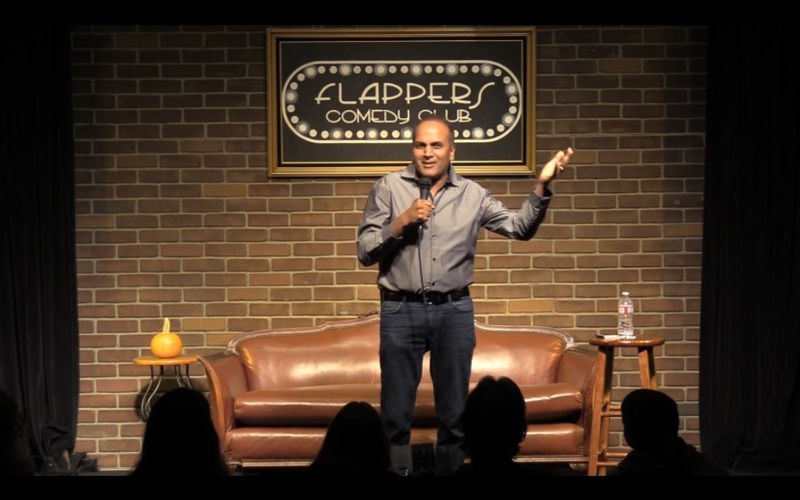 How is it being an Indian American stand-up comedian? Who are your audience, generally? I love doing stand-up. Humor and satire are powerful tools to point out idiosyncrasies that surround us. Most of my audience are Americans, generally professionals with families who appreciate clean witty comedy. Many approach me after my show and tell me that they appreciate my style and aren’t interested in some 20-year old comics obsession with sexual fantasies. Tell us about your family. I understand that they, too, do comedy, and contribute to your jokes. I convinced my wife into doing stand-up about 3 years back; it was a strategic decision because I am cheap. Why go to a marriage counselor when we can talk about our marital problems in front of strangers? They laugh and it’s like a free therapy for us. Toastmasters awarded you with Distinguished Toastmaster award, and you have several others to your credit. Tell us more. Toastmasters is a great organization for public speaking. I develop new material through speeches where humor and satire are wrapped with a message. I belong to two clubs (Warner Brothers and Burbank Chamber of Commerce) because once you have given a humorous speech it is hard to refine it and do it again. I tell the fellow members that I am looking for new guinea pigs to laugh at my jokes! I represented my club at the District level in humorous speech competition where I talked about Bania’s. Did you get any training in comedy? After graduate school, I took many years of creative writing classes. I also took some joke writing classes in New York and Los Angeles that helped me write better jokes. However, raising three teenage boys was the best training! What is the toughest part of being a comic? Comedy is hard because we live in a politically correct environment. It is easy to offend people – I do it all the time to my wife. Dave Reinitz, the owner of Flappers Comedy Club, summarizes it best, “Comedy is a negative art form and you need a victim.” I think a victim could be a person, a group or an idea and the safest form is self-deprecating humor where you make fun of yourself, your family, or society. With shows, open mike and Toastmasters, about 3-5 times a week. Dinner with my family is always fun because we are always sharing new jokes or ideas. No, generally not. There was one incident where I was hosting a show, I opened up and did well. Shortly after that another young Indian comic came on but wasn’t getting a good response. So he started picking on me and kept calling me uncle in a derogatory way. When I got up on the stage, I joked about dating his mother. Needless to say, he was very embarrassed. Tell us a time when you successfully used humor in real life for your benefit? A few years back I was traveling with a Jewish friend in India. I took him to a mall because street vendors would raise the price several times seeing a foreign face. I asked him, “Dekho hum gareeb desh mein rehte hein, kuch to discount de do? [Look we live in a poor country, give us a discount. ]” The guy agreed, “Haan sahib, dollar to down chal raha hai, [Yes, Sir, the dollar is kind of down]” but stuck to the price. I then asked, “Kuch Goray ka discount nahin hai? [How about a white man’s discount? ]” He just laughed but didn’t relent. Finally, when we were paying cash, he held the five hundred rupee notes in the air. I said, “Asli hein. Kal hi raat ko photocopy karey hein. [They are genuine. Just photocopied them last night. ]” At which point he cracked up and gave us a 10% discount! Do you plan to enter Bollywood or the Indian entertainment industry? I am not actively pursuing it but I am open to it. Even though I have been in the US for more than 30 years, my Hindi is better than most people I visit in India. I find it a bit annoying because they never want to speak to me in Hindi. It’s like talking to my American-born kids; when I ask them something in Hindi, they always reply back in English. Can you recall a funny incident in real life that inspired you to write a joke? It’s funny that you ask. A couple of years ago, some people were visiting my wife’s parents in India. They saw our family picture and commented about my wife to her mother, “Aaapi beti to itini sundar hai, itni sundar hai, ki lagta hi nahin ki aapki beti hai. Your daughter is so beautiful, so beautiful, that she doesn’t even look like your daughter.” That is basically a completed joke – I didn’t even have to alter anything. That incident reaffirmed that there is no dearth of stupidity in the world, so one doesn’t have to worry about running out of comedic material. All you have to do is keep your eyes and ears open! Growing up, I had a cheap father. Whenever I had constipation, he wouldn’t give me Metamucil, he would just beat the crap out of me. My uncle is very serious. The only time I saw him laughing was when his son was trying to divide a number by zero. My wife has been pestering me to teach our 15-year old about the birds and the bees. I said, “Son, birds belong to Phylum Chordata. And bees, stay away from them. Focus on getting A’s. An American co-worker asked me how come most Indian immigrants at work are gloomy. I explained that they are worried that their 401K and retirement plan would last only for this lifetime. There is no concept of rollover 401K to next life. People think that Indian men are arrogant because we walk in front of our wives. They don’t understand we come from an agricultural background so when we say we protect our wives from BS, we really mean it. More on him can be found on his website and social media handles Twitter and Instagram (@raajeevcomedy).